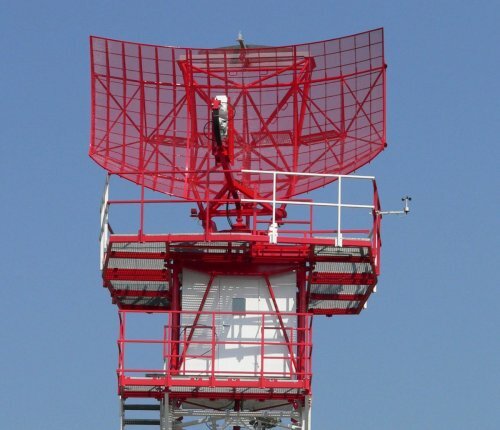 Represents S-band Solid-State Primary Surveillance Radar providing detection and measurement of aircraft coordinates within the terminal area, with further data transmission to ATC centers. It consists of an antenna unit mounted on a tower and a shelter housing the instrumentation. The standard configuration of the antenna unit includes the antenna itself with a highly reliable rotary joint and a pedestal, comprising antenna support, dualmotor antenna drive system controlled by two frequency convertors, intermediate element and other optional parts. PSR MORAVA can be co-mounted with our M10SR monopulse secondary surveillance radar, or MSSR of other producers. Can be equipped with elements enabling its on-line diagnostics and maintenance.